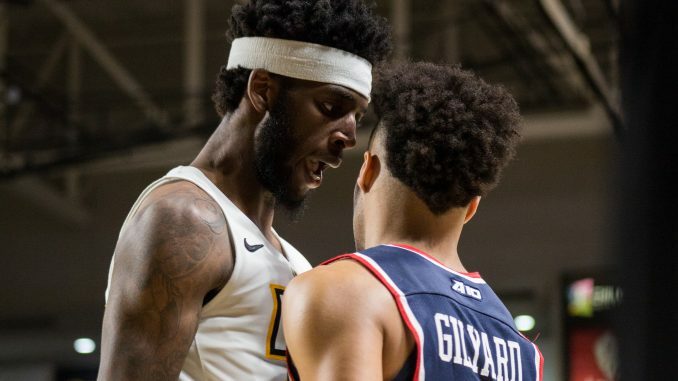 Men’s Basketball took down Richmond Wednesday night in the Capital City Classic 81-60 at the Siegel Center, hitting 10 3-pointers in the contest. The win extended the Rams’ win streak to five, a season-high. 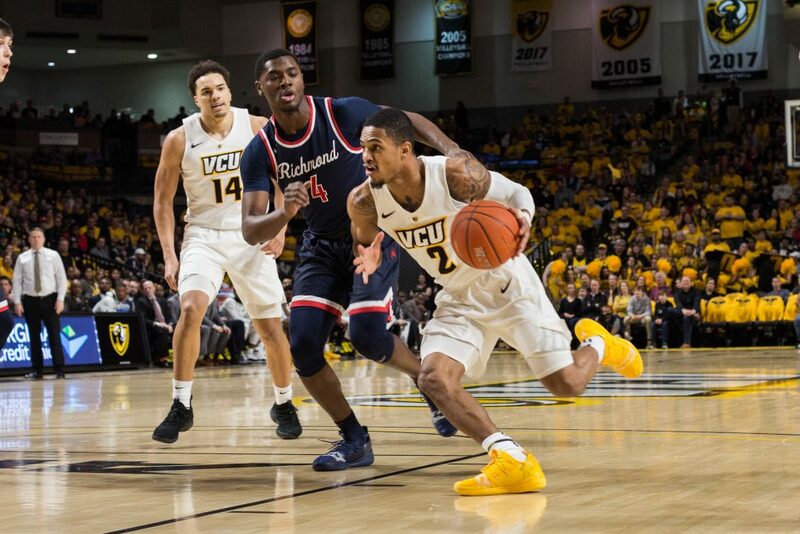 VCU shot 45.5 percent from beyond the arc against the Spiders, as six Rams recorded a three. 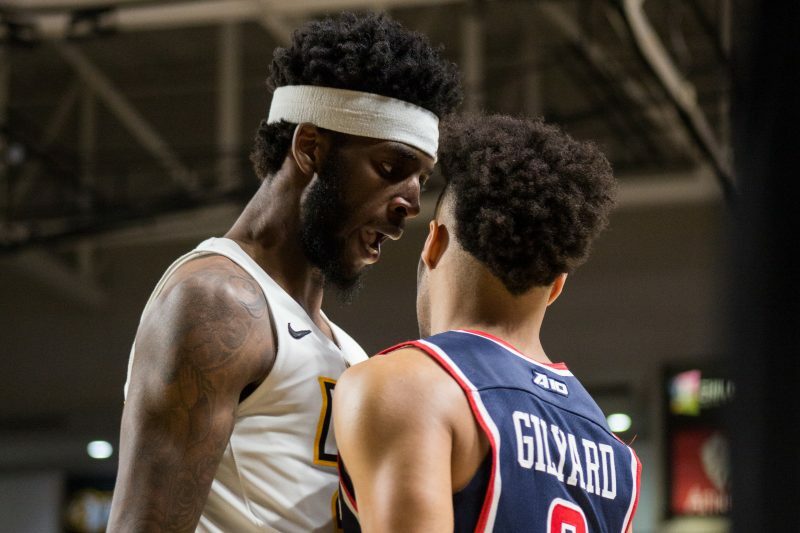 “My first thought was if VCU makes 10 threes it’s going to be hard for anyone to beat them,” Richmond coach Chris Mooney said. “They played great tonight and making threes is a part of that. [VCU’s] 3-point shooting was really, really impressive. They haven’t shot the ball very well from three this season and they shot the ball well tonight and they’d be hard to beat. The Rams’ No. 1 ranked 3-point defense in the country kept Richmond shooting 42.9 percent, including 33.3 percent in the first half. VCU had 19 assists on 27 made baskets — redshirt-junior guard Marcus Evans led the Rams with five. Redshirt-junior forward Issac Vann and Evans scored 16 points a piece for the Rams. The first half was headlined by HAVOC defense for the Rams as freshman forward Vince Williams and sophomore forward Marcus Santos-Silva both logged big blocks. Williams blocked a layup attempt against the glass from the Spiders’ Noah Yates. Redshirt-junior guard Marcus Evans scored a team-high 16 points and logged five assists. Photo by Erin Edgerton. Grant Golden scored the Spiders’ first seven points, including a 3-pointer from the top of the key. The Rams built a seven-point lead midway through the first half with a 10-0 run. VCU’s HAVOC defense allowed the Rams the lead as it left the Spiders without a field goal for more than 6 1/2 minutes. A highlight-reel dunk from junior guard De’Riante Jenkins capped off the run. Jenkins finished the contest with eight points, four rebounds and three assists. The Black and Gold took a 16-point lead into the locker room from a 6-0 run for the final 1:39 of the half. Evans and junior guard Mike’l Simms nailed two 3-pointers to lead the Rams on the run. The Rams shot 62.5 percent from the field in the first half, including 50 percent from beyond the arc. The Spiders came out of the locker room firing as they went on a 9-0 run early in the second half. Richmond cut the Rams’ lead to 10, but could not catch up. Jenkins lobbed the ball to Santos-Silva about midway through the second half, and the big man slammed it home on the highlight reel play. Santos-Silva drew the foul and made the free throw for a loud three point play. Sophomore Corey Douglas led the Rams in rebounds with nine in only 13 minutes of play.